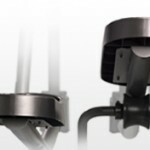 Our patented RollmentumTM center-drive replicates the body’s natural motion. 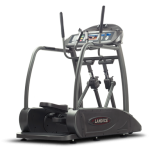 Adjust the stride between 17 and 23 inches. Orthopedic “gel” footpads provide optimal comfort and relieve foot fatigue. 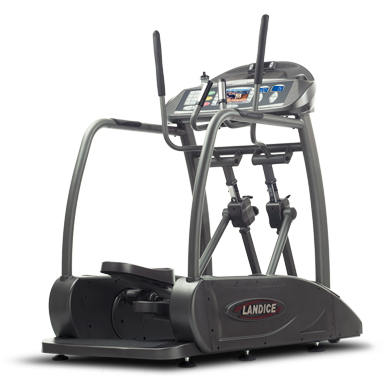 An integrated rear step reduces step-up height to 7″, the lowest of any elliptical. 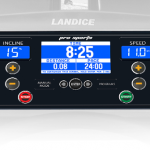 The integrated side-frame footrests with non-skid surfaces allow for isolated upper-body workouts. Moving handrails feature molded contoured finger grips.